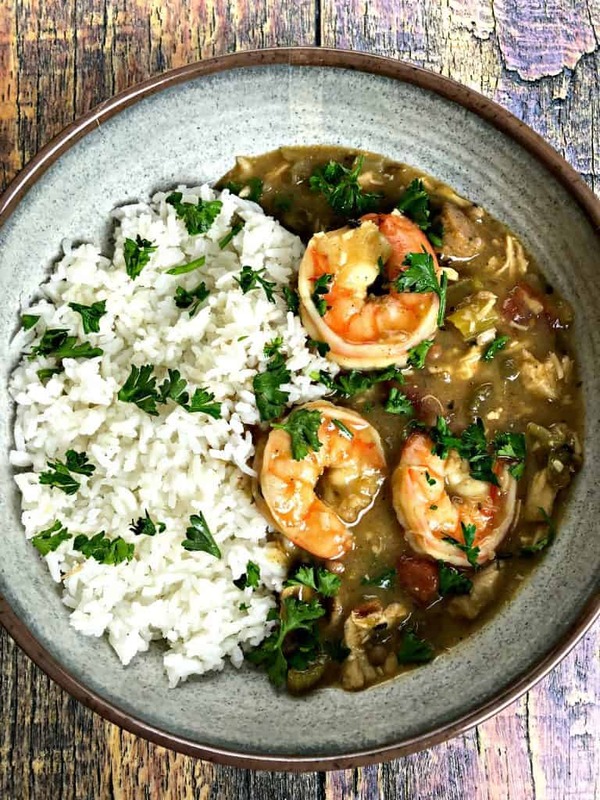 With every Instant Pot recipe, I contemplate how I can save time in comparison to cooking the dish using a traditional method. Baked potatoes usually take 45 minutes to an hour in the oven. I usually wrap them in foil and constantly poke, poke, poke, and pray the potatoes finally soften up. Baked potatoes can be made in the Instant Pot in less than 10 minutes. The story is similar for the shredded chicken in this recipe. I used to cook my breasts in a slow-cooker for a few hours on high. 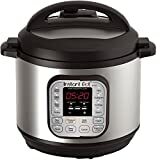 It should come as no surprise, I have not used my slow-cooker since I purchased the Instant Pot! Maybe I will during the winter months. The Instant Pot has a slow-cooker feature, which is great. 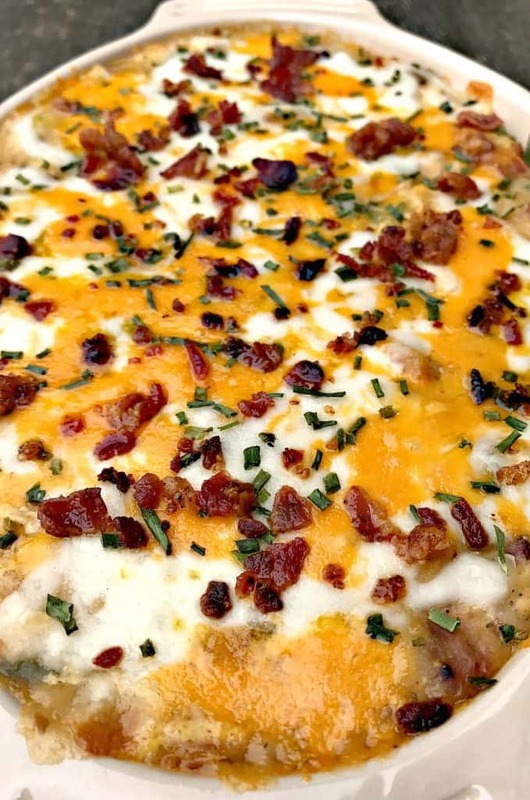 Look at all of that cheesy goodness! I usually save the mozzarella for the topping in a lot of recipes so that I obtain these results. I chose to saute the chicken breasts first for a couple of minutes on each side using the Instant Pot. I did this because I wanted to pressure cook the potatoes and chicken breasts at the same time. With this method, the chicken breasts are not going into the pot raw with the potatoes. I am a HUGE fan of Trader Joe’s uncured, nitrate-free bacon. I love the taste and texture. Nitrates are preservatives. Going with a nitrate-free alternative means that it will go bad a lot faster. So you should be sure you have plans for the bacon when you purchase it. 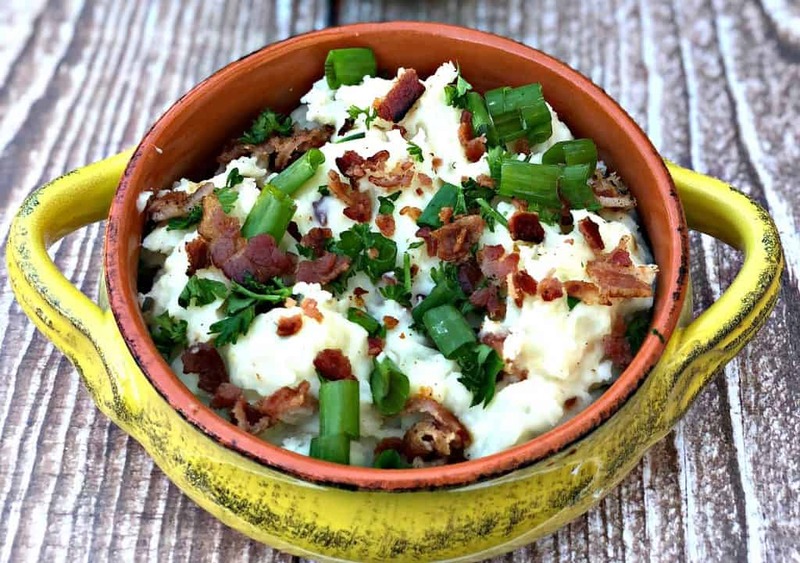 You may also enjoy my Instant Pot Mashed Potatoes with Bacon. 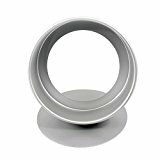 This Instant Pot Accessories Sethas everything you need to master the Instant Pot. 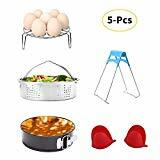 It includes with Steamer Basket, Egg Steamer Rack, Non-stick Springform Pan, Steaming Stand, 1 Pair Silicone Cooking Pot Mitts, and more. Save money and buy the items in a bundle! 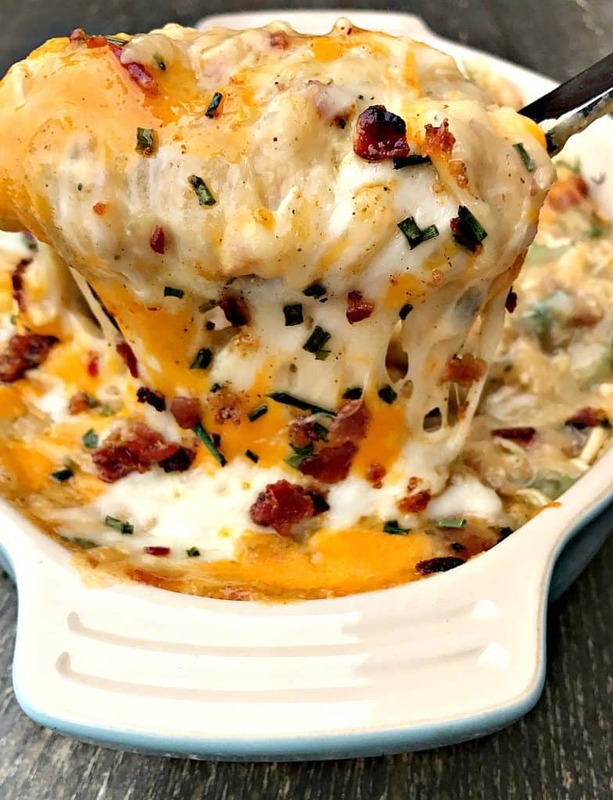 Instant Pot Bacon Chicken Ranch Baked Potato Casserole is a quick and easy pressure cooker recipe with mozzarella and cheddar cheese. Add the olive oil to the pot. You can also use cooking spray. Turn the Instant Pot on the saute function. Season the chicken breasts with the chicken seasoning. Saute the chicken for 2 minutes on each side until the chicken turns white. Add the potato chunks and chicken broth to the Instant Pot with the chicken breasts. Put the lid on the pot and adjust the settings to the Manual 10 minutes. When the pot beeps allow the Instant Pot to release steam on its own without quick release for 10 minutes. Remove the chicken from the pot. Using two knives or a knife and fork, shred the chicken. Set aside. Drain the excess liquid from the pot. Mash the potatoes with a hand mixer or a potato masher inside the pot. Add the remaining ingredients and the chicken to the pot, except for the cheeses. Only add 1/2 cup of shredded cheese here. Season with paprika, chives, ranch seasoning, salt, and pepper to taste. Stir to combine all of the ingredients. Spray a baking pan with cooking spray. Add the mixture to the baking pan. That looks like a great casserole to take to a party! I have a son that love chicken and bacon anything. This looks so so good! I am definitely pinning this one for later. OMG, that looks so good. It had everything my son loves bacon, chicken, and ranch. He would devour this recipe. OOOhhh! This looks amazing. Perfect party snack or just because. I really need to get an Instant Pot now to try this. I don’t dare. It looks too good and I’m sure I’d want more than one serving, and that’s too many calories! Wow this sounds delicious! One day I will get an instant pot! Sounds delicious! The more I learn about all of the meals that you can make with an instant pot, the more I want to get one for myself! It would make dinner time so much easier. I am always amazed at what you can make in an Instant Pot. That looks delicious. Can’t go wrong with bacon, baked potatoes, ranch and chicken! Please make it and let me know what you think! Can we use boneless chicken legs without shredding them? It looks good. This recipe looks good and I want to try it. Can we us boneless chicken legs? You can. Chicken breasts are just my preference. Can I use 2% milk instead of the almond milk? Or any other option? Yes, any milk is fine. Almond is my preferred choice. Can you prepare this ahead of and then bake it the next day? Yes, you can. I’ve actually prepared this in advance for meal prep. I microwave each day, but baking would work, too. I don’t have an instant pot but I’m going to try this. Yum!! And holla to a fellow KCMO peep! You totally should! Hey! I love meeting fellow Kansas Citians! When do you put the bacon in? Or do you cook it on the side and add it before you put it in the oven? In the instructions I’ve listed the bacon as cooked and crumbled because I cook it first, then crumble it for the recipe. You can do that on the side. Can you do the final baking in the instant pot? You can. The results won’t be the same. The oven allows the cheese to bubble up. U said it could b done in a rice cooker? How so?? I’m not sure what you mean. Where did I say that? I’ve never used an Instant Pot. Does any type of meat you cook come out as tender as it would in a crock pot? I think it comes out more juicy with a pressure cooker vs using a slow cooker. AT The point of adding everything back to the cooker, do we turn it back on? or just mix it all in and then do the last cooking in the oven? You just mix it in the Instant Pot. Then add the mixture to the baking pan with the remaining cheese to bake. Looks great! I am making this today..what do I season the chicken with before sautéing? I am a little confused which of the seasoning ingredients listed do I use ie., Ranch? Paprika? S&P? All? Hi there. You season the chicken with the McCormick’s Chicken seasoning. You can also salt and pepper it to taste, if you wish. This was surprised by the consistency of this dish. I was expecting the potatoes to be more chunky in the mixture – it came out pretty thin. 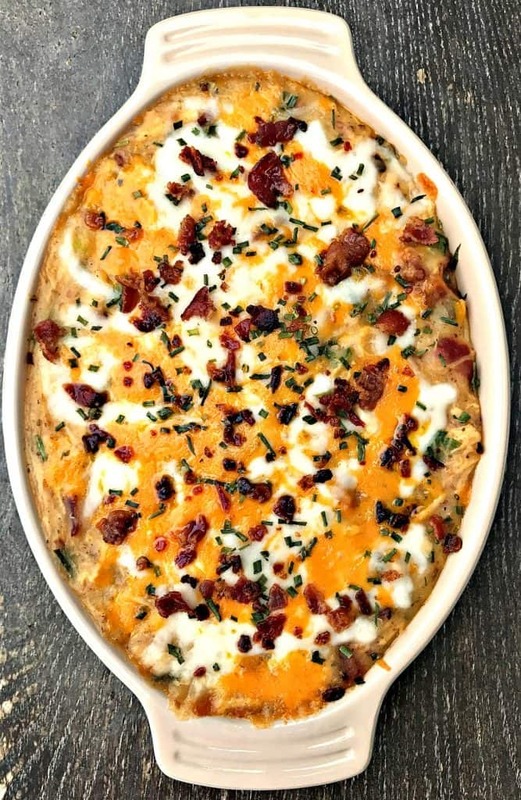 I actually ended up making baked potatoes and putting this over them – the flavor was really good – next time, I will use more potatoes or make loaded baked using this recipe. Hi there! Thanks for trying this recipe and thanks for the feedback. I’m glad you enjoyed the flavor. I use fewer potatoes because my overall focus is on the nutritional macros of the recipe. Using more potatoes result in more carbs, we all have to do what works best for us. So glad you found an alternative that works! Hi, recipe sounds absolutely delicious Can I use broccoli or cauliflower in this to lower the carbs instead of potatoes? How would that affect the cooking time. Thank you for all your wonderful recipes. Hi there. 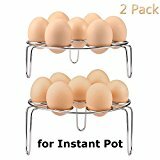 I would only use the Instant Pot for the chicken, which takes ten minutes and then another ten for natural release of steam. I would do everything else on the stove. Loved this recipe however the consistency was very thin. Should you drain the potatoes some before mixing? I did not see it in the directions. Other than that it was wonderful!! Hi there! I’m glad you enjoyed the recipe. If you didn’t like the consistency then yes, you should drain. The instructions provided worked best for me. Ok. My kids loved this, devoured it all, but I did stray from the instructions a bit, thanks to the input from a few of the valid reviews. It was a bit more work than most other Instant Pot recipes and definitely not a single pot. 1. I used about 5 slices of bacon, chopped it up ahead of time and cooked it in the instant pot. Drained off grease and removed bacon. 2. Cooked a chopped onion in a bit of bacon grease, removed. 3. Browned the chicken breasts, used 4 whole breasts from Costco, in a bit of bacon grease, then removed. 4. Deglazed the bottom of the Instant Pot with the broth. I was worried about burning, so I used a bit more, about 1 cup. 5. Added the chicken broth, potatoes, cooked onion and then cooked for 9 minutes, then slow release for about 10. 6. Following advice of the good reviewers, I dumped out the liquid, pained me too, since it looked so good. I just didn’t want mush potatoes. 7. Used 2% milk instead of almond milk and sour cream instead of greek yogurt. Just don’t have that stuff around. Seasoned potatoes before combining the rest of the ingredients. 8. Mixed, baked as instructed. The flavoring of the broth and chicken flavoring came out in the shredded chicken, it alone was very good. The recipe was a success and I’ll surely make it again. I don’t think I’d change it any either, I think my on the fly changes were perfect. This looks and sounds fantastic! I’m living out of hotel rooms as I travel for work so all my cooking has to be done in the instant pot or microwave, can you give me an idea of how I could make the baking step work in the IP instead? Would I switch it to a pot in pot kind of thing? Do you have an idea of what setting and for how long? Just looking for a starting point, I completely understand that it’s not the way you’ve done it, but I feel like your guess would be better than mine. Thanks for he recipe, look forward to trying it. I would recommend a pot-in-pot. You can start with 4 minutes high-pressure cooking to see if the cheese melts and adjust from there. This was a hit for my picky boys. Great recipe and thanks for the detailed instructions. I’m a newby to the instant pot world lol. 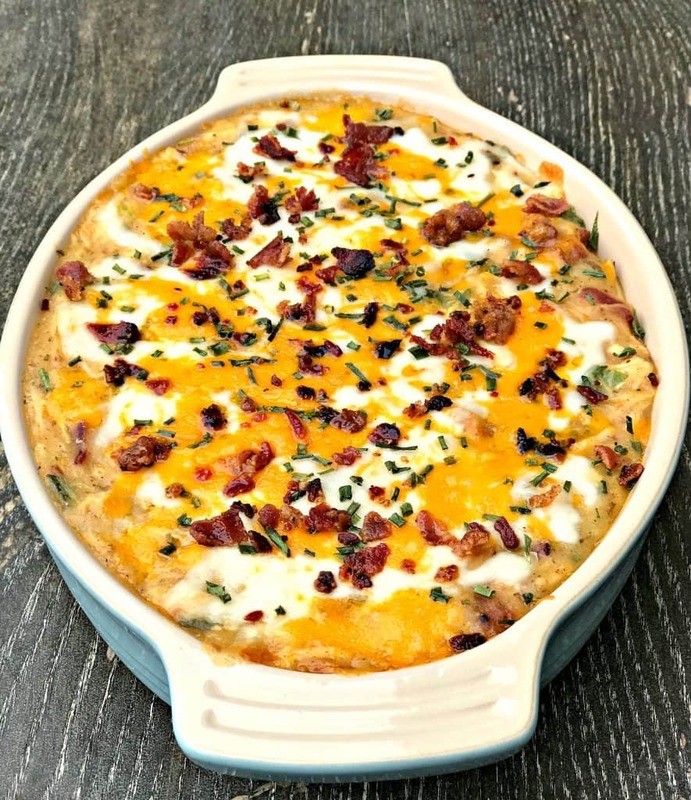 could I substitute cauliflower for potatoes to make it less carbs? You sure can! Add an inch of boiled water to pot with the cauliflower. Lower the heat and cook the cauliflower for 7-8 minutes until soft.